 Objectives This study examines possible associations between asphalt fumes and workshift changes in lung function and symptoms among 170 workers exposed to asphalt fumes. Methods The workers were from 5 segments of the asphalt industry, and most of them participated for 2 consecutive workdays. The primary response variables were changes in lung function (measured at the beginning and end of the shift) and incidence of symptoms (measured before, 3 times during, and at the end of the shift). Exposure was estimated from breathing-zone samples of total particulate (TP), respirable particulate (RP), the benzene-soluble fraction of the TP (BSF), volatile hydrocarbons collected on a charcoal tube (VHC), nitrogen dioxide, sulfur dioxide, formaldehyde, carbon monoxide, and hydrogen sulfide. Ozone and wet bulb/dry bulb temperature, as a measure of heat stress, were measured as area samples. In addition, daily cigarette smoking was determined by questionnaire. The exposure-response associations were assessed by both parametric and nonparametric statistical techniques. Results Overall, no consistent association was observed between an acute reduction in lung function or the incidence of symptoms and exposure to asphalt fumes. Concentrations in the neighborhood of the maximum levels constitute no-observed adverse effect levels: TP (<1.5 mg/m3 to maximum 6.2 mg/m3), RP (<0.6 mg/m3 to maximum 1.4 mg/m3), BSF (<0.6 mg/m3 to maximum 1.3 mg/m3), VHC (<8 mg/m3 to maximum 19.8 mg/m3). There were no exposure-response trends with ozone, heat stress, cigarettes smoked, or length of workday.